Is our Himalayan Adventure for you? This trip is not for the faint of heart. For much of the journey you'll be above 3,000m (10,000ft) in lunar landscapes of towering rock, on roads clinging onto cliffsides that are regularly blocked by landslides, snow-melt rivers, and herds of goats. Accommodation is clean but basic, food can at times be a little uninspired, and toilet facilities are primitive. In return for putting up with these conditions you will be rewarded with some of the most spectacular scenery on the planet. 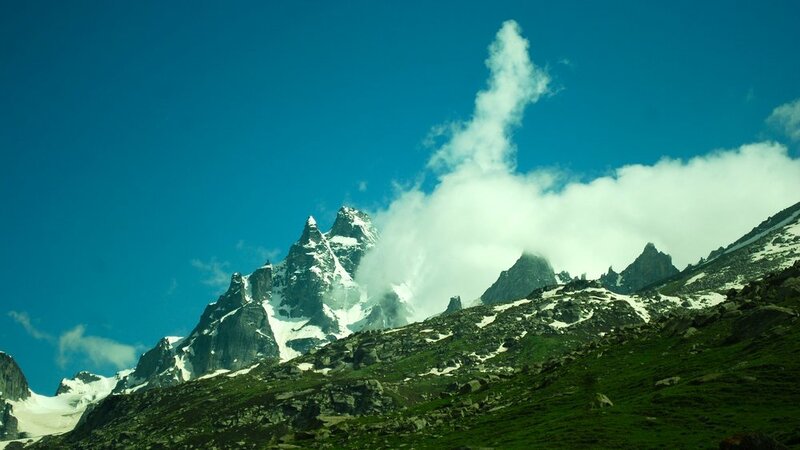 Majestic, unforgiving and immense, The Himalayas remind us that we're all just dust, gone in the blink of an eye. The trip can be done in six, long days, but add a couple of extra days to have more time out of the car and explore the region a little on foot. There are plenty of short walks, and longer treks if you can handle the altitude, in the area. 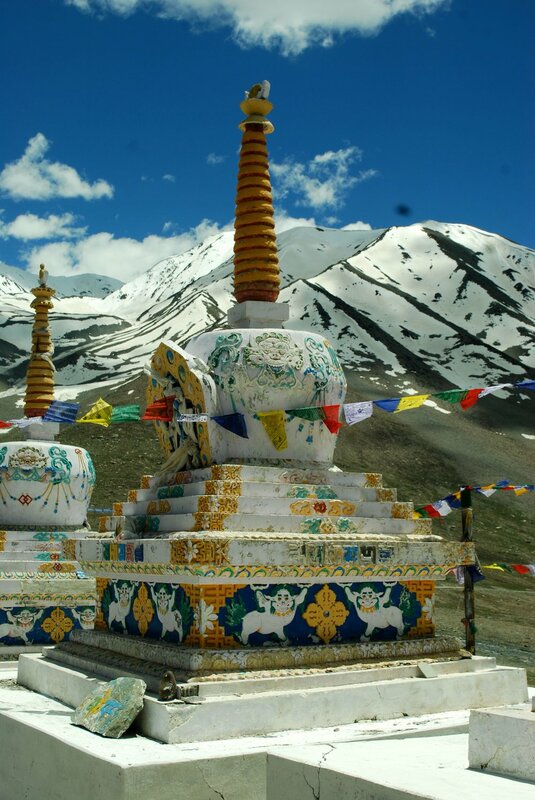 We could also add in an extra day for a side detour to Rakchham and Chitkul in the stunning Baspa Valley. 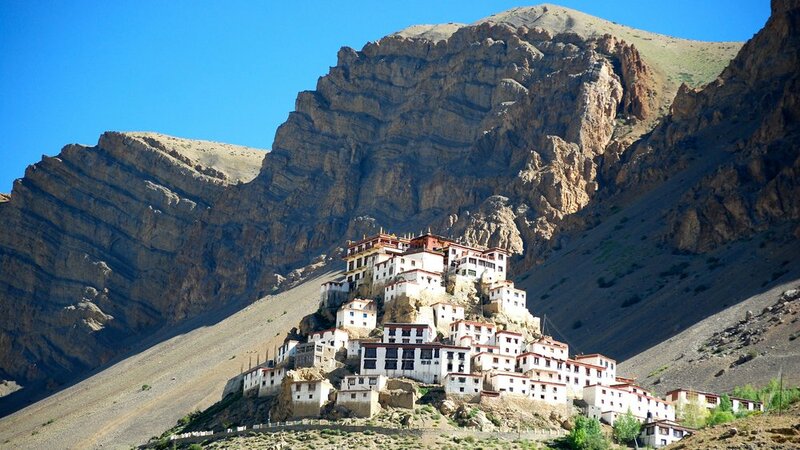 Tabo Monastery, dating from 996AD, is the oldest continuously operating Buddhist enclave in India and the Himalayas. The frescoes, dating to the 16th Century, in the ancient Golden Temple are some of the most beautiful Buddhist artworks we've ever seen. Summer, only. 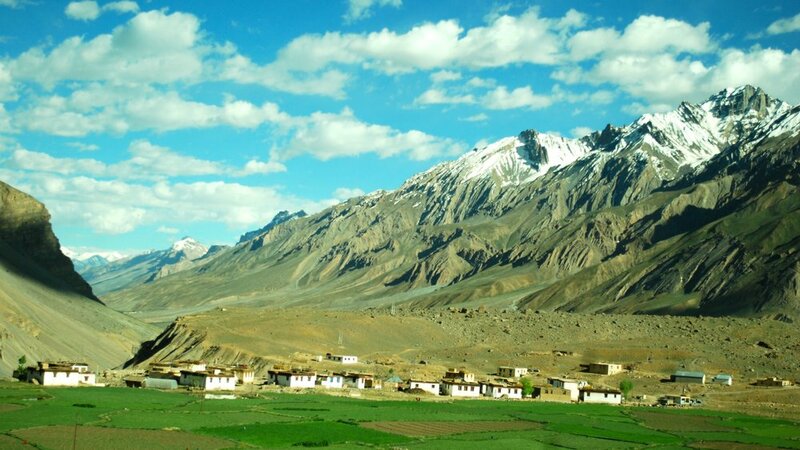 Spiti Valley is inaccessible from November to May due to heavy snowfall. RELIGION & PHILOSOPHY The intellectually challenging, esoteric and sublime philosophy and practices of Tibetan Buddhism become more powerful when you experience them in situ. 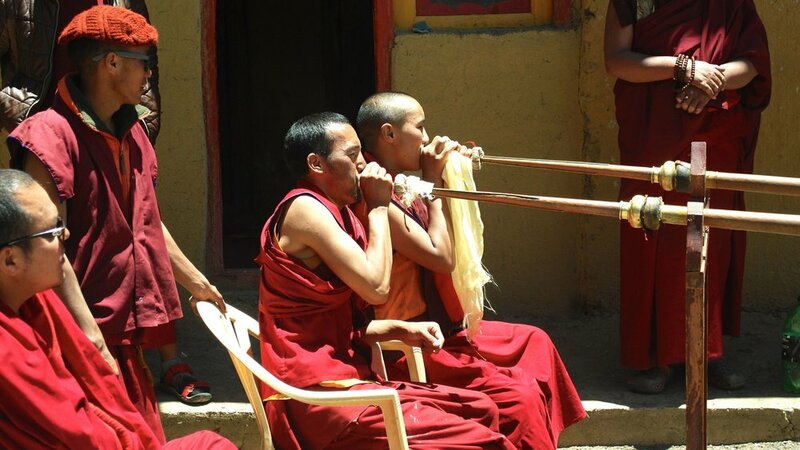 Many monasteries allow visitors to sit quietly in the temple during ceremonies; don't be surprised if the hairs on the back of your neck stand up when you hear the guttural chanting of monks during prayer time. 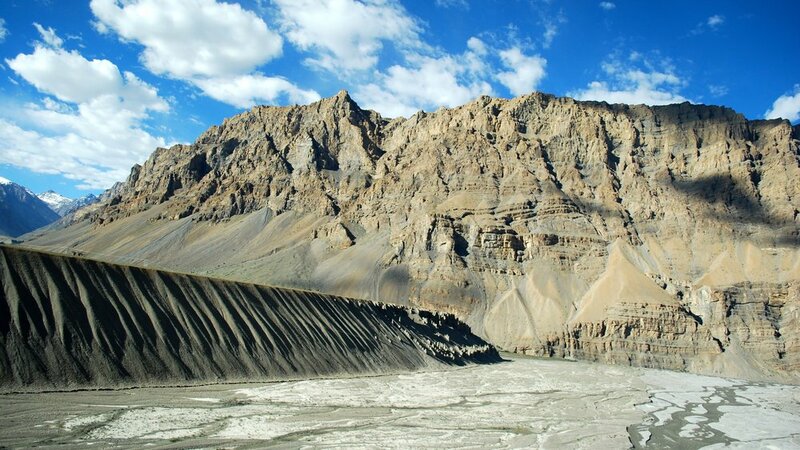 ARCHAEOLOGY The geological history of Spiti Valley stretches back 500 million years and it has come to be known as the fossil park of the Himalayas. 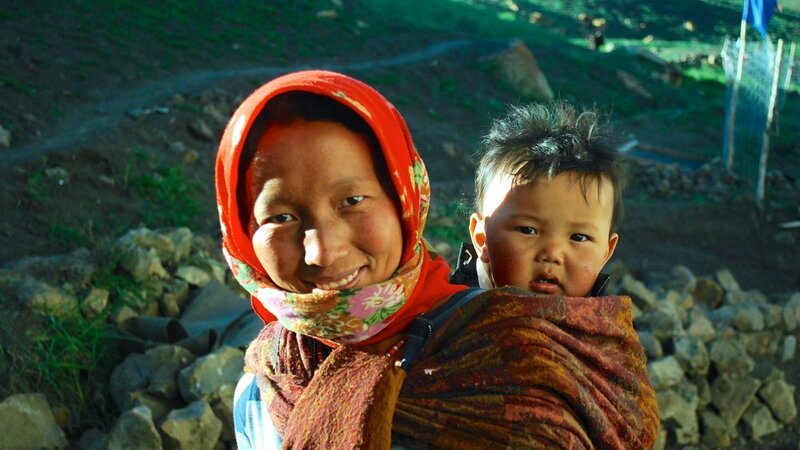 SUSTAINABILITY We partner with an excellent local eco-tourism initiative that arranges homestays, treks and sustainability activities in this remote and impoverished part of the world. Help build a mud solar cooker, put up greenhouses, herd cattle or help the farmers. 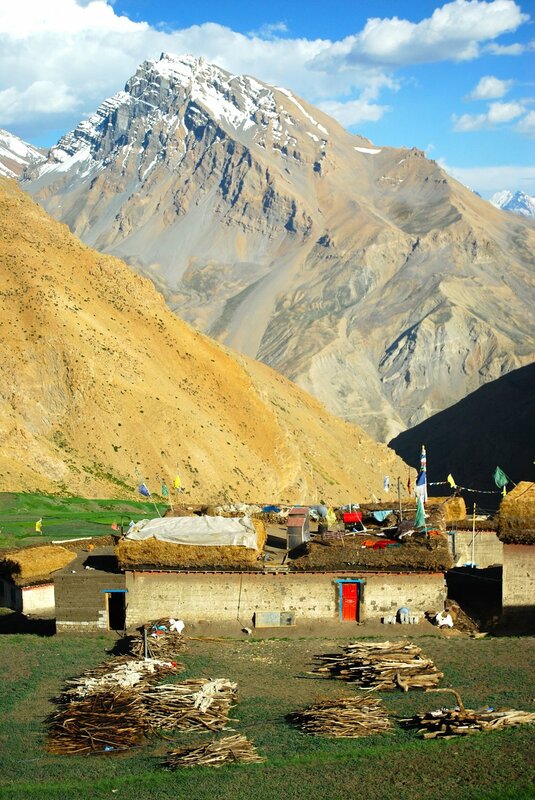 Please get in touch for more ways to get involved in helping Spiti Valley communities. 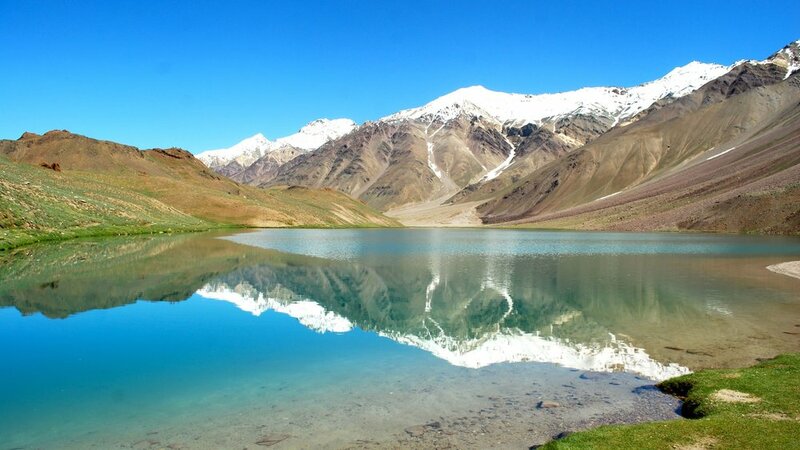 NATURAL SCENERY Snow-capped mountains, plunging valleys, green meadows, apple orchards, snow-fed rivers and waterfalls of sand ... this remote, high-altitude part of the world is nothing short of endlessly jaw-dropping.